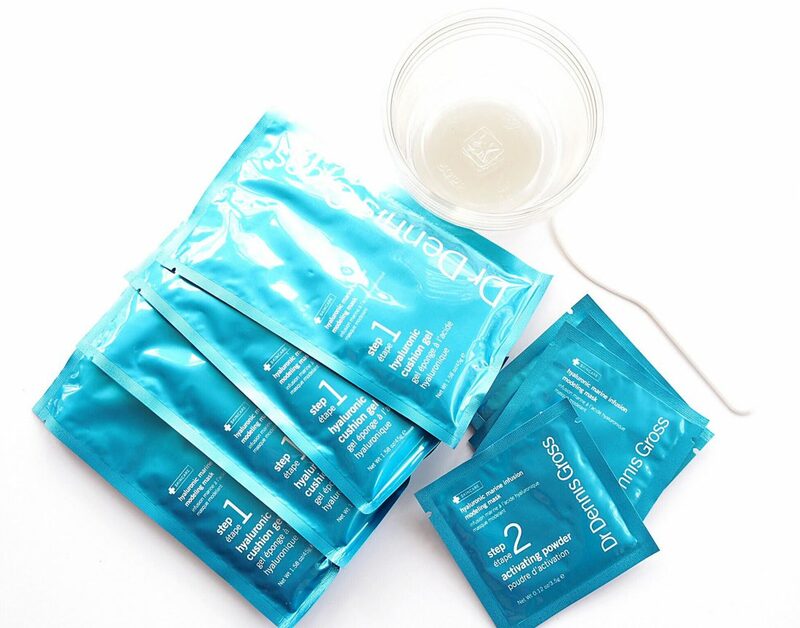 I’m sure everyone has seen those horrendous looking peel-off pore masks – the key feature, apart from shredding your skin, is that they don’t very easily peel off! I have one that I bought tucked away but haven’t got round to trying it – I don’t even want to, to be honest, but feel I should so I know what I’m talking about. 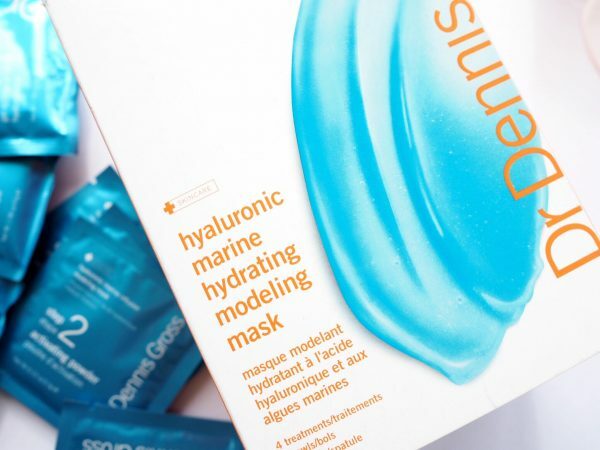 Anyway, Dr Dennis Gross Hyaluronic Marine Hydrating Mask could not be an easier peel off. You could rename it a Fall Off mask because that’s how easy removal is. 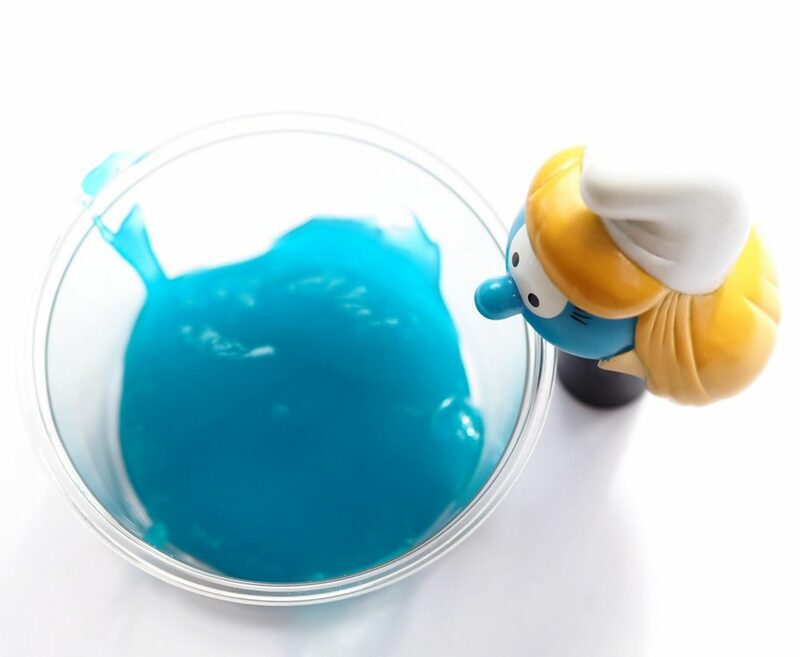 I’m not that keen on masks you have to mix – there are a million and one masks where that’s all done for you, but it’s easy enough with bowls and a spatula provided (although – waste alert – one would have done, not four). 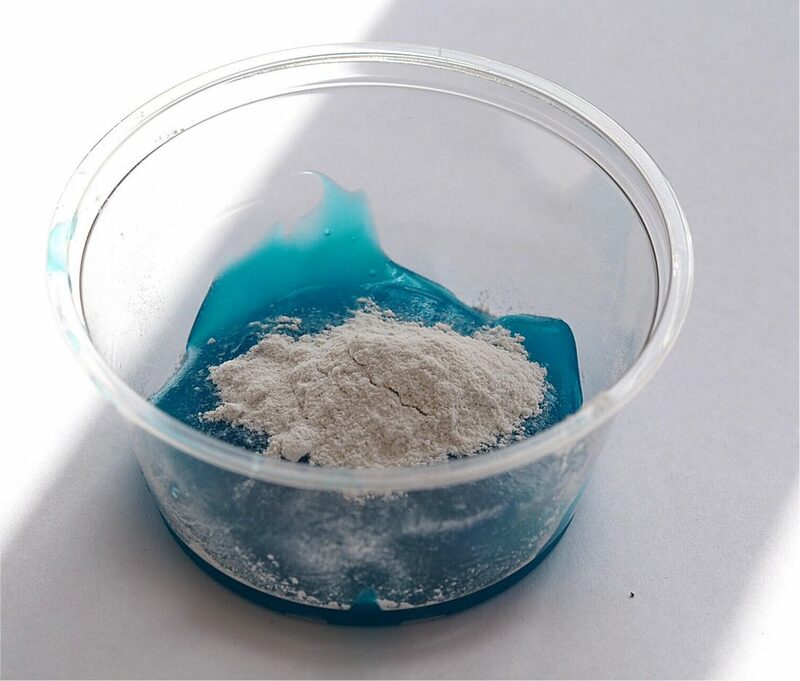 Tip out the blue Hyaluronic Cushion Gel (contains colouring Blue 1 Lake CI42090 as well as water, glycerin, Algin, Lithium Magnesium Sodium Silicate, Sodium Hyaluronate and rice powder as key ingredients) into the bowl and then add Sachet 2, Activating Powder (with glucose, Calcium Sulfate, Tetrasodium, Phyrophosphate and Magnesium Oxide). 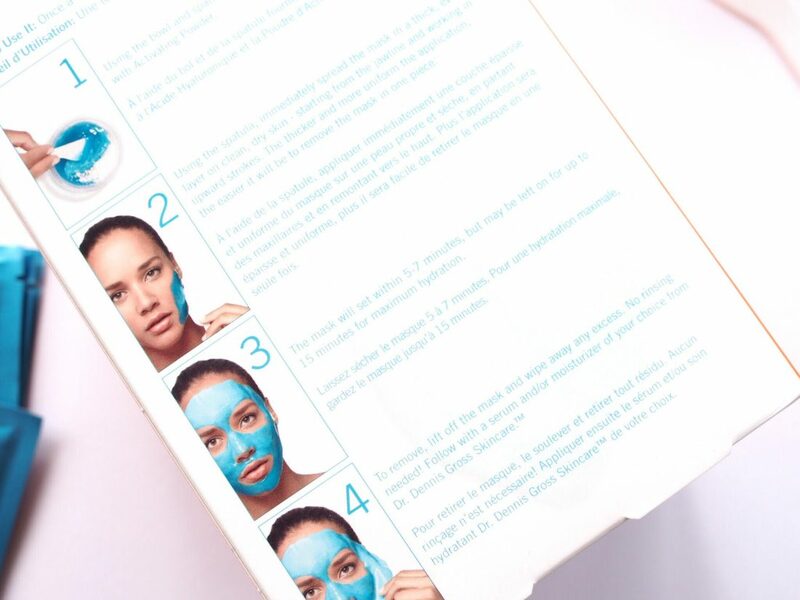 Quickly mix and apply to your face with the spatula. 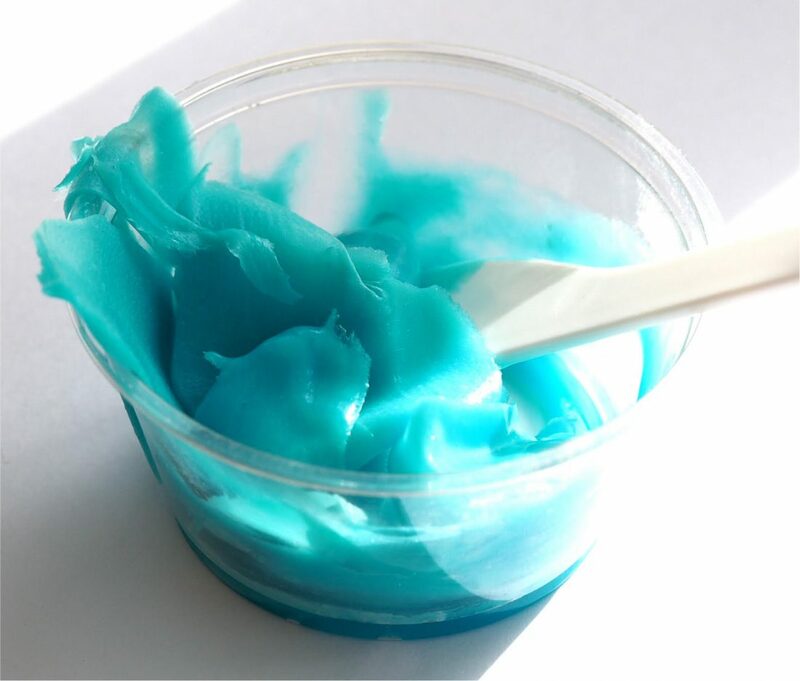 I feel like this is a formula that has really been worked on- it’s gloopy but not drippy so application is easy, it feels cooling and gentle on the skin and dries in the alloted time (up to 15 minutes – I took mine off at 13 minutes). It’s the Rolls Royce of peel-offs because it came off so smoothly and left barely a scrap to be picked off. It didn’t catch in facial down either although I avoided where possible. A good tip with peel-offs is not to try and do a whole face in one – you can apply in patches – I know it’s satisifying to get a second skin all in one as you pull away, but it’s a hell of a lot easier to remove when you patch apply. 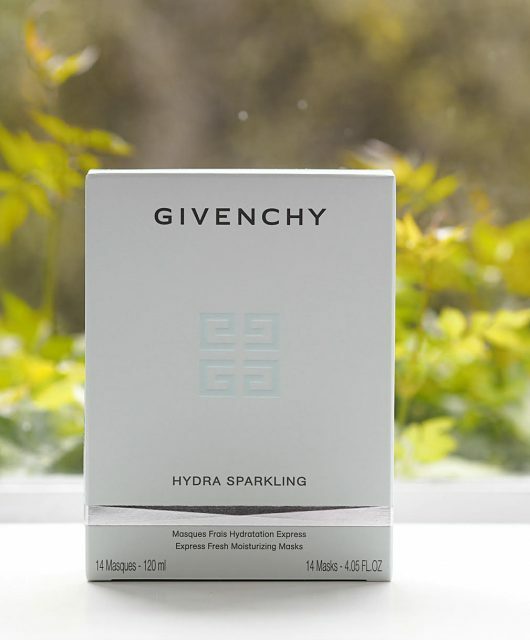 The remit of this mask is to add a glow and hydration with plumped skin. Although I didn’t notice signficant plumping, my skin was definitely a whole lot perkier for it with added radiance and felt comfortably hydrated for the rest of the day. It’s launching at SpaceNK April 1st now for £43. Additionally, I’ve been, on and off, using Dr Dennis Gross for the past few weeks and although I think it’s pricy, I actually very much like it. 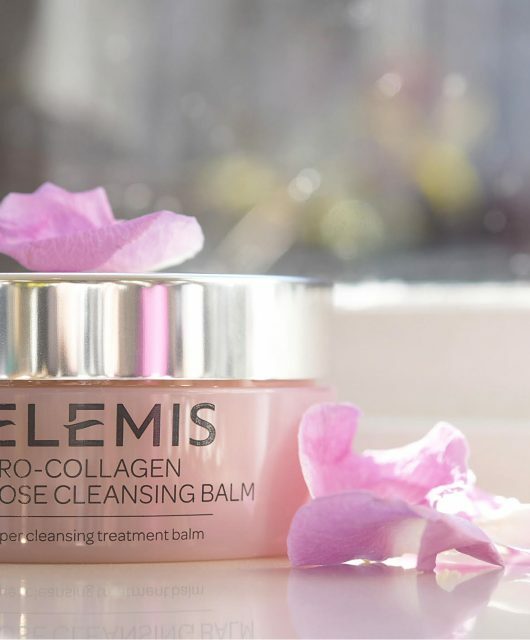 These are formulas that understand skin – I’ve been using mainly the C+ Collagen Deep Cream (£70 HERE) and loving it, but I also noticed that the brand has an oil free moisturiser in the shape of the Hyaluronic Moisture Cushion, £50.50 HERE. 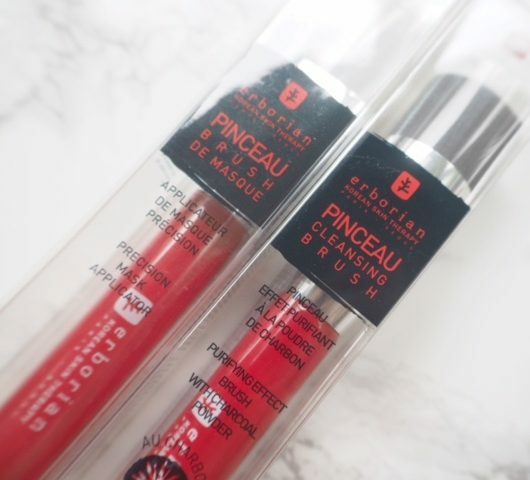 Decent oil-frees are hard to come by – see if you can have a test next time you’re in store or check out Caroline Hiron’s review from last year HERE.